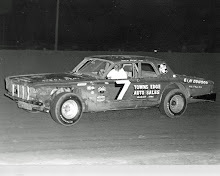 Blue Island, Ill. (June 16, 1977) - Literally hundreds of drivers have done battle on the Raceway Park oval since the track was opened in 1949. Many have won track titles. 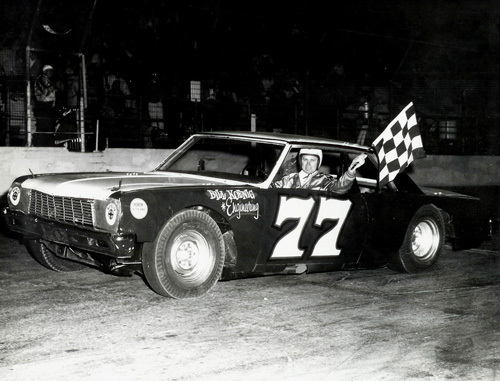 But no one in the history of the Blue Island motordrome has even come close to achieving what Bud Koehler has done - and it's highly unlikely that anyone will ever match him. First, however, the 11-time track champ will have to give them a final number to shoot at. That (retirement) in itself may take a great deal of time. 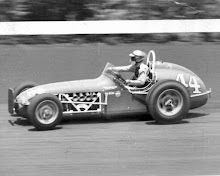 Back in 1949, when stock car racing was begun at Raceway on an experimental basis, Koehler was a midget driver. 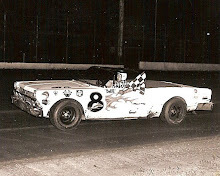 He made the switch to stocks, however, and walked on with the first Raceway late model trophy. Today, Koehler is still a winner, perhaps even more so than in his younger days. He has won four out of the last five season titles and may very well cop another one if he can recover from an early season slump which still sees him without a victory. 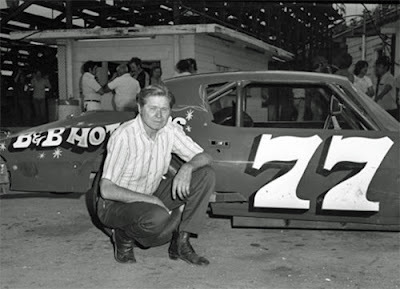 But aside from the 11 track championships, 482 career feature wins (the next closest competitor, now retired has 148), numerous trophy dash titles and more checkered flags than anyone could ever hope to have, the most amazing thing about Bud Koehler is the fact that he can come back every week and look for that next victory. Has he lost his enjoyment in the sport? Not really, although he admits that it's a little harder to work himself into shape each time opening day rolls around. Still after almost 30 years of racing, one would think that Koehler feels that the track is part of his workweek. And in a sense, it is, but not in a negative way. That being the case, things must have fit into place many times for the 56-year-old interior decorator, who has become more than a legend at the Blue Island plant, in addition to making his mark at many other tracks in the Midwest. 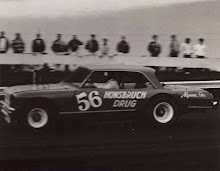 But Koehler has never strayed very far from Raceway, and has competed regularly there each and every season since that fateful 1949 campaign. That’s unlike many other drivers, who can’t resist the basic urge to travel and find themselves on the road throughout the country. That was evidenced earlier this season when Koehler and his late model Camaro wound up on the first turn wall in a spectacular accident. The front of the car was practically destroyed, with the driver incurring injuries. Although he returned to action two weeks later, Koehler is still feeling the effects of the crash. For that matter, so is the car, which hasn't been up to par lately, and Koehler is beginning to slip way behind point leader Jerry Kemperman and some of the other top runners. However, the poor start is very reminiscent of last season, when he failed to win a feature for the entire first month, but came storming back at the end to win the title going away. There is one big difference between now and then, however. The level of competition at Raceway has improved with more than 30 drivers a night taking qualifying runs in the late model division. Included in the sudden increase in drivers is a flock of young talent that has come over from both the hobby stock division and the now defunct six-cylinder class. At the moment, that talent is unpolished, but eagerness to learn prods the younger set to seek advice from the veterans. And that’s just how Koehler worked his way into the world of racing - by getting himself into a predicament. In the late 1930’s, Koehler did some racing of his own, starting with motorcycles and advancing into midget cars. He then became associated with Raceway in 1940, as a mechanic in the pits for another driver. 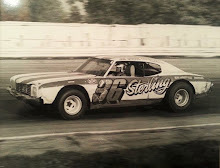 That one decision led to the disappointment of many drivers over the years, who have come to Raceway, occasionally found success, but could never knock Koehler down. At least not for long. Judging from his recent performance at Raceway, Koehler may very well be in the prime of his racing life.